Family photograph Left to right Florence Norton (wife), L.G.Norton (son), Henry Norton (8/3816 8/3876), Jean Norton (daughter). Image kindly provided by Fleur Lindsay (1999). Fourteen brass plaques at Old St Paul’s commemorate soldiers who lost their lives in the First World War. Of these men, three died on the same day – 15 September 1916. Harry Norton was one of those three. This is his story. I am afraid when I come home to you Dear, you will find I am a brute of a boy, & very rough. We are being trained for brutality night & day, and no wonder, when we see the things the enemy do. And it will take us a long time to get back to normal after we get home again. So you will have to break me in again. In this letter home to his wife, Harry Norton’s tone is light, but he is not entirely in jest. Harry was both appalled at being trained to kill, yet proud to do his duty. Far from being the jaunt it perhaps first appeared, Harry’s experience of war became a struggle against the horror of being forced to kill and the strain of living with the daily reality of being killed. He felt the experience was leaving him irrevocably changed and while he dreamed of home, he also wondered how he could forget such horrors and return to civilian life. Sadly, fitting back into civilian life would be a challenge Harry was never to face. He did not live to return home to his beloved wife and children. A boatbuilder by trade, Harry lived a peaceful civilian life just one block from Old St Paul’s. When he enlisted for the army, in June 1915, he was 34 years old. He and his wife, Florence, had been married 13 years and had two children: Leonard aged 12, and Jean aged 11. Little Kathleen, conceived just a few months before Harry’s departure in January of 1916, would have only his letters and a photo of her father. Harry wrote frequent letters home. He lived a dual reality with his mind constantly turned to his family. Even while undertaking missions into no man’s land he paused to pick forget-me-nots which he posted home to his wife. It was only after embarking for Egypt that he fully recognised her sacrifice in letting him go. Florence supported and respected her husband’s beliefs even though they would take him from her. Harry was torn between his duty to his family and what he believed was his duty to his country. “If I had not come, I would have felt guilty all my life”, he wrote. Harry often wrote, no doubt to convince himself, that he would be home soon. He hoped to be home for his elder daughter’s birthday, for Christmas…he imagined scenes of being at home, of eating ice cream, of having Christmas dinner together, of holding his wife in his arms. It is only in later letters, and after some time at the Front that he acknowledged the possibility he may not come back. Harry trained at Trentham in Upper Hutt. He took pride in being spick and span and in supporting and encouraging the other boys, who voted him their tent leader. He was well-liked and respected and pleased with everything at camp, from the food, to his smart new uniform. After seven months training he was restless and impatient to see some action. Harry left Wellington in January 1916 aboard HMNZ Transport No. 39, bound for Egypt. He was only in Egypt a few weeks, when the NZ Division was transferred to France to enter the fray on the Western Front. British and French troops had been fighting in France and Belgium since the beginning of the war in August 1914. Both sides had dug themselves in and there was deadlock long the 750km line from the English Channel to Switzerland. 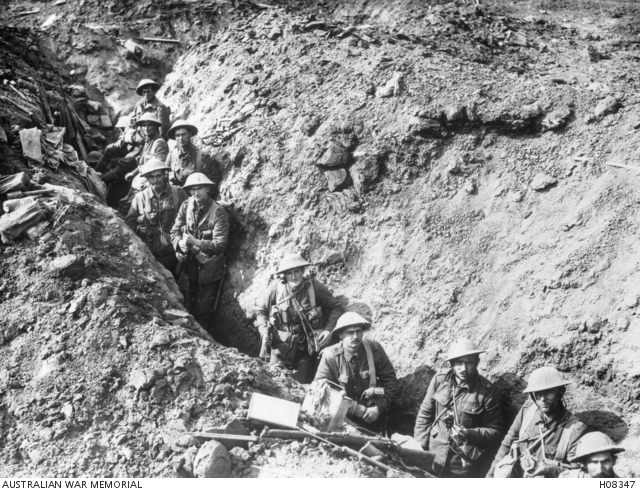 On their arrival in France in April 1916, the NZ Division were instructed in trench warfare techniques. They spent some weeks in May continuing training, deployed on work parties and taking their turn in the front-line trenches. This was Harry’s first experience of the front and he was still full of bravado and the promise of an easy victory. This would quickly prove to be an illusion. Just fancy after ten months training in a few hours I will be able to do my bit. I am very excited and looking forward to the moment, & order to charge. What a glorious time we will have making the fiends run. Harry was selected for duty as a sniper. I am one of the picked shots, but I will not write about that. It is too awful. I had to do it, as I was a ‘Marksman’, but will just say that the guns are awful. For every one of the enemy a sniper gets, he puts a nick in his rifle. Some of the rifles have a great number of nicks, and we are proud of them. I told you I was developing into a blood thirsty brute, but we have to be. It is war. It was also particularly nerve racking and lonely work. Harry described sneaking up to enemy trenches close enough to hear conversations. His tone is that of adventure, but at other times he admits his fear and talked of waiting in the trenches, his legs, and those of his companion, uncontrollably shaking. The rats too, “hundreds of them & such monsters, as big as kittens”, took a lot of getting used to. On rotation away from the front, Harry visited the cathedral in the French town of Armentieres. In a moment of bitter black humour, he reflects on the peace of the building while sharpening his bayonet on one of its smooth stones. After training near Abberville in late August and early September 1916, the New Zealand Division was transferred to the Somme where they would see their first large-scale action on the Western Front. An offensive was planned for the morning of 15 September. The objective: to capture the villages of Flers and Gueudecourt. The Somme had been an area of fierce fighting for some months, and for Harry it was rawer and more immediate than anything he had experienced up to that point. He described lying awake in the trenches at night, unable to sleep for the artillery blasts – not only the sound, but the vibration and concussion of air pounding his body and causing bits of the limestone trench to break off around him. You count time here by seconds, not hours & minutes. You throw a bomb & have exactly 5 seconds before the explosion. You hear a shell coming & you have a fraction of a second to wonder if they will find your identity disc. If it bursts near you, you say D—-. If it goes on, the remark is ‘What rotten shooting’. So you see we have our little jokes. In those few days waiting in the front-line trenches before the battle, Harry saw an enemy aeroplane “falling to the ground in a mass of flame.” He also described an encounter with a “Hun prisoner”, likely the most direct and intimate contact he had yet had with the enemy. “I felt a wee bit sorry for him”, he wrote, “He was only a lad of about 21, & was quite dazed. He didn’t know where he was.” After months of being conditioned to hate, to make killing bearable, this humanising glimpse has the touch of both redemption and pain. In what was to be his last letter, Harry wrote “We are going to take 3 lines of Hun trenches on Friday. ‘My Lucky Day’. I expect we will go over at Dawn.” The advance began at 6:20am on 15 September 1916. Harry, along with many others, was killed by shellfire. Heavy bombardment of the German lines in the days prior, had failed to make significant impact on men sheltered in trenches and served to warn the Germans of the coming attack. Enemy batteries and machine gun posts had not been disabled and infantrymen were cut down in large numbers. The Allies pushed towards Flers, and New Zealand troops helped to secure the village. The New Zealand Division was relieved on 4 October. In just over three weeks of fighting, more than 1,500 New Zealanders had been killed, and some 5,500 injured. The Allies fought on until mid-November, but a decisive victory remained elusive. Battles on the Western Front would continue for a further two years. 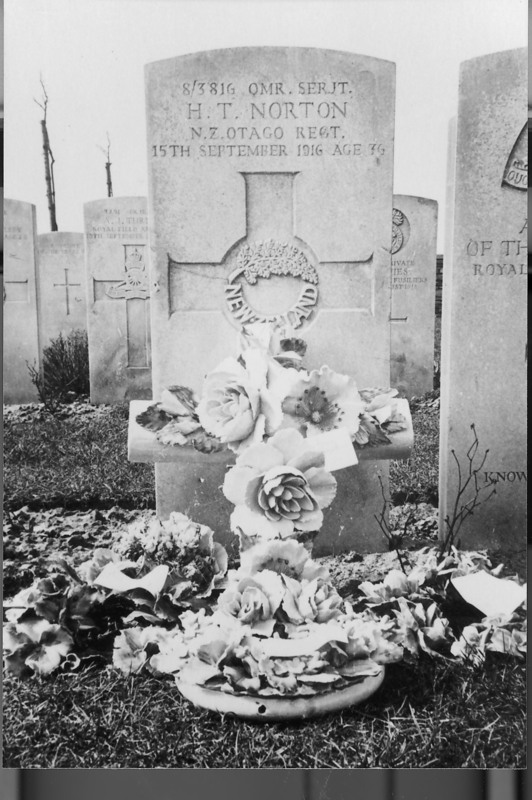 Headstone, Caterpillar Valley Cemetery, with china floral tributes on the grave Henry Thomas Norton (8/3816 8/3876) Image kindly provided by Fleur Lindsay (1999). Also in the collection at Auckland Museum are 19 letters his family had written to him that he never received, as it took more than a month for them to be told that he had died. We recently talked to his granddaughter, who is named Fleur, after Flers, the town in which her grandfather was killed. 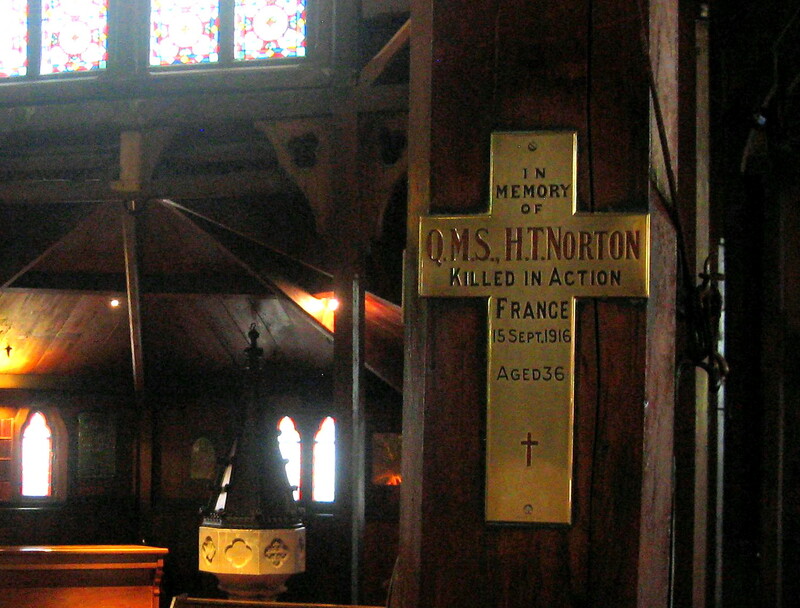 Sources: Auckland Museum Online Cenotaph records. Norton, Henry Thomas, 1880-1916. Letters, 1900-1938. Auckland War Memorial Museum Library. MS-2004/16. Henry Thomas Norton’s war service record, R21381151, Archives New Zealand, Wellington. Ministry for Culture and Heritage, ‘The Battle of the Somme’, URL: https://nzhistory.govt.nz/war/the-battle-of-the-somme King, Michael. New Zealanders at war. Auckland: Penguin, 2003. McGibbon, Ian, and Paul Goldstone, eds. The Oxford companion to New Zealand military history. Auckland: Oxford University Press, 2000.